The new Petzl Sirocco tips the scales at 5.2 ounces. Three issues ago I reviewed the new Vapor from Black Diamond, a 5.9-ounce helmet that at the time was the lightest on Earth. 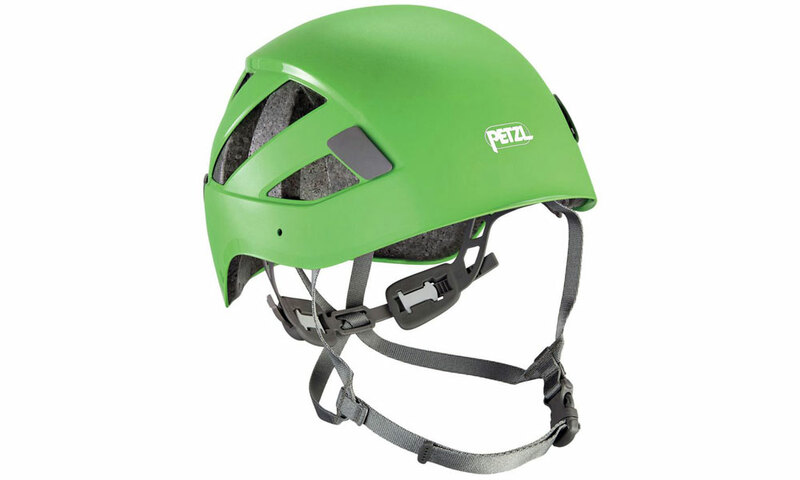 Turns out the Vapor is the second-lightest helmet, nudged out by the new Petzl Sirocco, which tips the scales at 5.2 ounces. To be sure, a difference of .7 ounces isn’t something you can sense: On your head, both helmets feel almost as if they aren’t there. The bigger differences are price, bulk and a few lesser details such as the harness and certifications. The Sirocco is $30 less than the $139.95 Vapor, a savings likely due to the Sirocco’s expanded polypropylene foam construction, which doesn’t use the pricey Kevlar sheeting and carbon-fiber rods you’ll find in the trim-fitting Vapor. Instead, the Sirocco slathers thick foam all around (and especially up top) to protect you from falling objects and impacts. This padding makes the Sirocco bulky, but ice climbers and alpinists, who are most at risk for being clocked by ice and rock, won’t care. On rock you will be more apt to bang the helmet in tight spots like chimneys. The expanded polypropylene used for the Sirocco is more flexible than conventional polystyrene (Styrofoam)—to the point of feeling rubbery. You can push in the sides of the Sirocco and they bounce right back. Or you can stand on it, or sit on it like a stool. Try that with a polystyrene helmet and you could be making a trip to the store for a replacement. 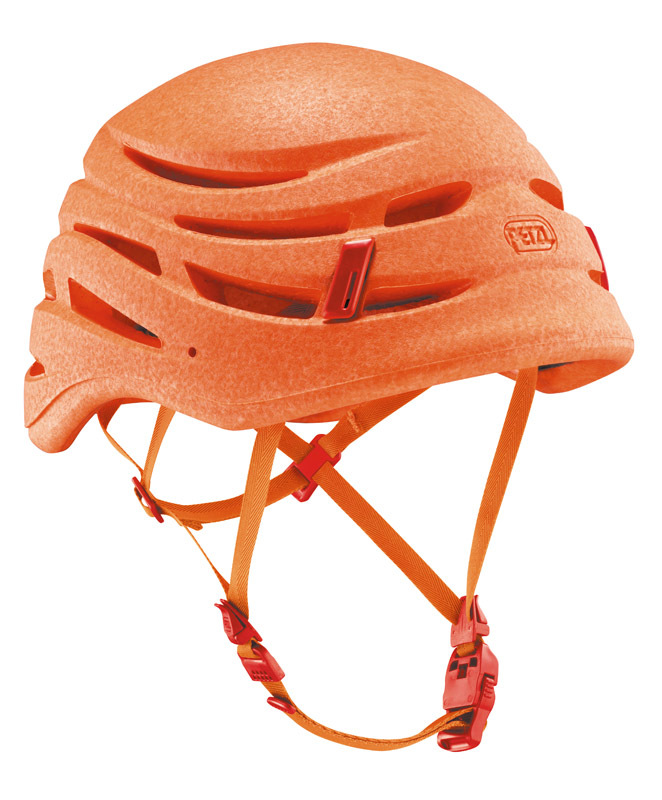 The flexibility of the Sirocco is unmatched, and I tip my hat to Petzl for figuring out how to mold a durable, one-piece helmet from polypropylene. For a harness, the Sirocco uses thin straps of webbing. This is a lightweight system that is amply secure and fully adjustable, if fiddly. A chin strap closes with a magnetic buckle. Difficult-to-snap chin straps are a pet peeve of mine, and the Sirocco, by tapping the mysterious powers of the Earth, has a buckle that I found especially easy to use, although Jefe (admittedly a gear bumbly), seemed stymied by the novel clip. Of note, the Sirocco is CE and UIAA certified, while the Vapor is only CE certified. The CE and UIAA tests are the same with the difference that the CE requires 2 kN less impact force than the UIAA. In short, the Sirocco is a ground-breaking helmet with new technology that I’ll wager (and hope) will trickle down to less pricey models. 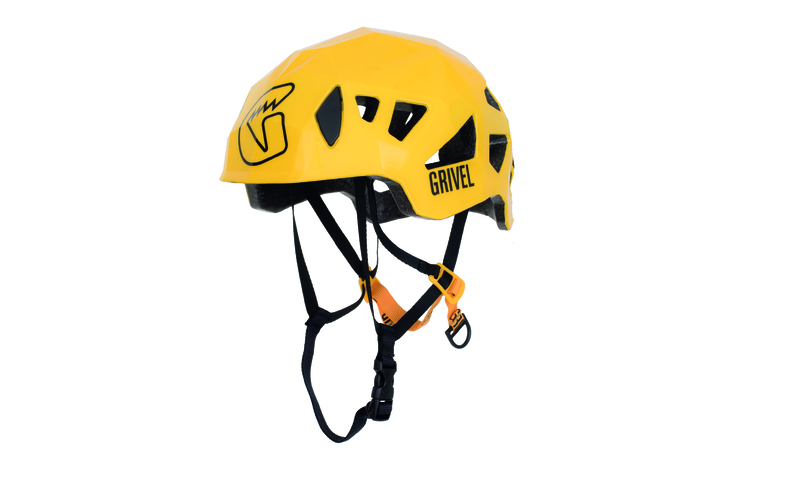 I’ve been a tough sell on helmets, finding just about every other lid lacking, usually because of weight. With the Sirocco, I’m out of excuses. ABOUT THE RATING I gave the Sirocco four of five stars, deducting one star only because the helmet is bulky.